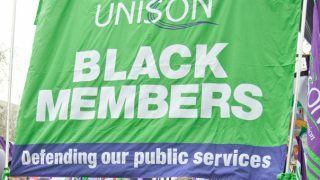 In a busy morning at UNISON’s Black members’ conference in Brighton, delegates agreed a series of measure to challenge the rise of racism and Islamophobia. 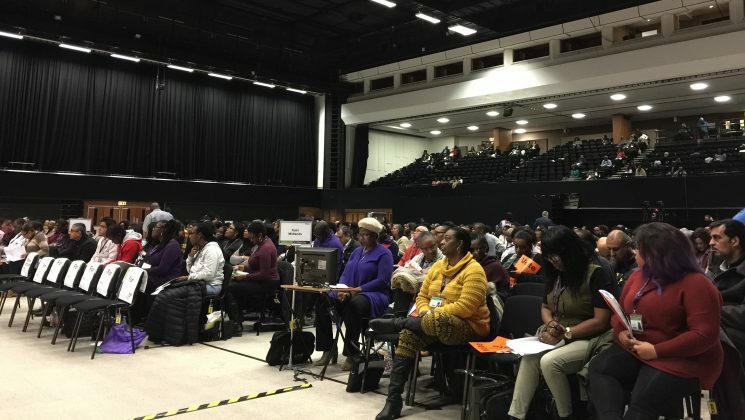 The Prevent agenda was described as making Islamophobia is part of the government agenda by demanding that public service workers “spy” on service users. Islam, it was stressed, is not a race or nationality, but the Brexit vote has given ammunition to anti-immigrant platforms and the far-right. “These killings must stop,” who the clear comment on terrorist acts. 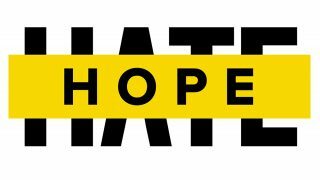 But it was important to remember that “hate is not anything someone is born with and it can be defeated”. Education is the key to breaking down the barriers and bringing communities together. Liz Cameron gave an impassioned speech, warning that, “when they attack one of us, they attack all of us,” so we “joined together and fought it”. And she pointed out that, by uniting in such a fight, the likes of the National Front, the BNP and the EDL had been seen off. Another delegate described the “hysteria” over Islam, saying it was reminiscent of the ‘reds under the beds’ hysteria of earlier years. And he stressed the need to combat “hostile headlines in the newspapers”, adding that the proliferation of the sort of ‘reports’ that suggest some council somewhere is going to ‘ban Christmas’ all add up to make people fearful. “If we don’t come together to fight this,” said yet another speaker, “ we will fall together”. Saleem Ahmed from Bury reminded delegates that the problem was not new, but had really started on 9/11, as planes were flown into the World Trade Center. It was, he said, “one of the most horrible days I’ve witnessed as a human being”. But “faith is important. My faith? 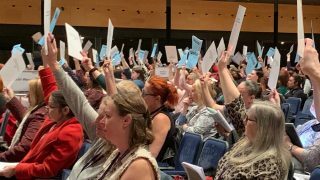 That’s why I joined UNISON,” he told conference, explaining that this was because of a shared ethos of justice, fairness and equality. 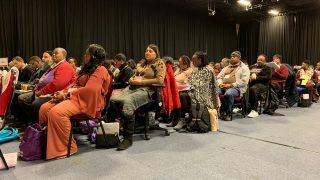 One speaker – a social worker from Rotherham – told of the unpleasantness of both warning his own young female relatives to be careful when they’re out and also of warning a (non-Muslim) refugee family that they might face abuse too and finding they’d already experienced it. publicise information about schemes aimed at helping build inclusivity, including those helping LGBT Muslims.